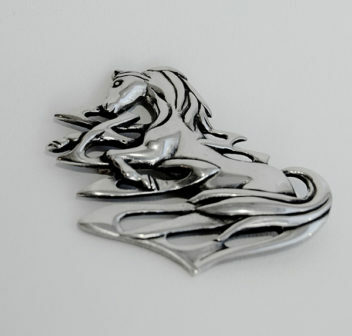 A fabulous pewter openwork brooch measuring 50mm x 50mm. Secures to garment by way of a pin with locking, safety catch. The brooch is packaged in a velvet lined gift box.